Sample the delights of our local wines and cheese in our own cellar in the Lac Salin hotel. Get in touch to discuss this as part of your package, or ask when you arrive in resort. 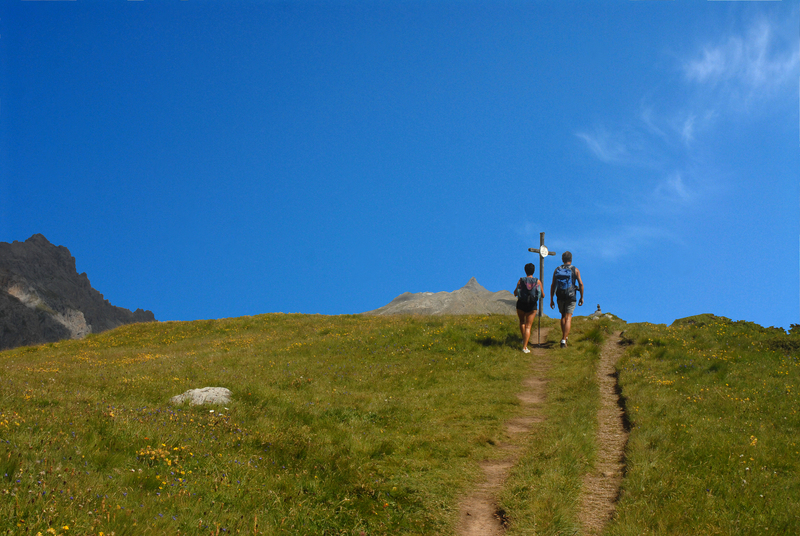 We can now offer you guided and unguided hiking in and around Livigno. So whether you wish to hike for one or seven days we can tailor make a trip for you. 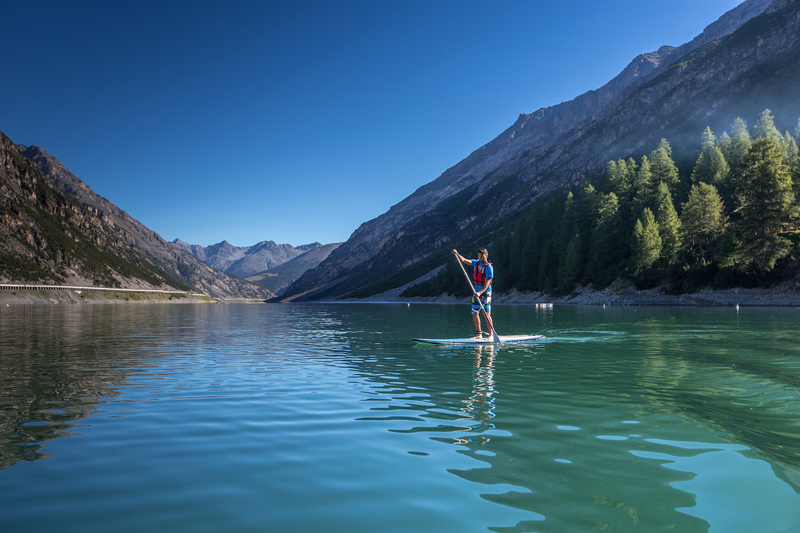 Hire a SUP, kayak or canoe and take to water in the breathtaking landscape. Livigno is located 1816 metres above sea level, and its unique landscape makes it Europe’s highest plateau and the second-highest in the world after Mexico City. This is why it's the ideal place for high-altitude training all year round. An open-air gym which attracts sportsmen and women of all nationalities and disciplines, committed to athletic training and improving aerobic capacity. Andnot only sport, because Livigno also means enjoyment, relaxation, a warm welcome and great food, all elements we aim to offer in approximately 10,000 square metres of Aquagranda Active You. Unique in the Alps, the structure of Livigno aims to bring people closer to golf and to become an important training tool. The Golf Training Area offers the opportunity to train on an area of 10,000 square meters composed by a pitch and putt area, a driving range of 250 mt and three greens with various difficulties, each reached by three different teeing grounds. For those who want to try the golf lessons in Livigno, it has been created a special package that includes the overnight in an Active Hotel, golf clinic with intensive daily lesson of 3 hours (from 10.00 to 11.30 – Saturday and Sunday) of short golf, in which you will learn several shots like the chip&run, pitch, putt, bunker, lob and approach. There are 5 full-length rope-courses suspended between the trees for everyone to explore, play and ‘learn the ropes’ in an ancient larch forest. You’ll have fun negotiating suspended logs, Nepalese bridges, ropes and wooden walkways up to 18 meters above the ground before descending safely. There’s something for everyone, children and adults alike: from the rudimentary Tyrolienne slide for kids aged 3 years and over, to the high-rope jump on the BLACK route for the more daring. Adults, teenagers and children can play and climb trees with complete peace of mind with qualified instructors to help them overcome their fears, immersing themselves in a world of excitement and adventure. With the River Spöl feeding into the artificial lake on the North side, the Livigno Valley is a fishing enthusiasts paradise. Yet not everyone knows that Aquagranda is the ancient name of the River Spöl that converges with the River Inn and then flows into the Danube before reaching the Black Sea. There are magnificent excursions on foot to several of the Alpine lakes as well as those down in the valley, which are easily accessible via the walkways and cycle tracks.